Episode 14 in our series on setting up and managing devices using Server’s Profile Manager service. This is episode 14 in our series on setting up and managing devices using Server’s Profile Manager service. We’re starting to wind our way down to the end of this series on Profile Manager. After this lesson, we’ll finish up next episode with a little debrief and some talk about rolling Profile Manager out for real use in your environment. This episode we’ll look at configuring mail accounts, adding Web clips to your user’s Home screens, and adding PDF documents to your iOS devices. If you’ve ever tried talking someone through the process of adding a company email account to someone’s personal iOS device, you’ve no doubt enjoyed the, er..., pleasure that we all have of helping someone on the phone understand that SNTP and SMTP might sound the same, but they aren’t the same. 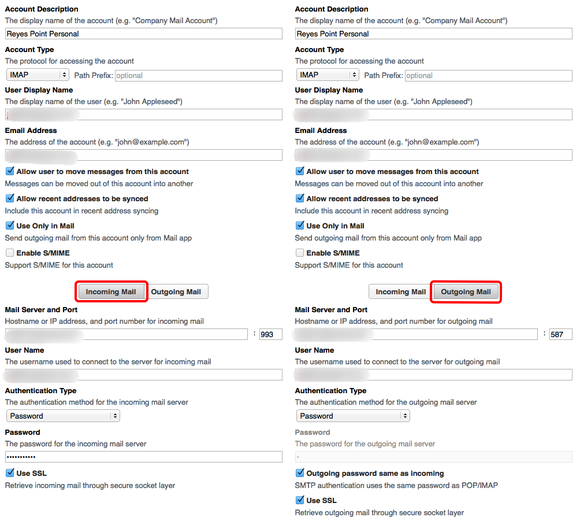 Creating a Mail payload lets you push out mail settings to your users without any telephone support pain. Note: Make sure the mail account you’re about to add doesn’t already exist on your iOS device. If you’re running an Exchange server in your environment, select Exchange instead of Mail for the steps below, using information you have for your Exchange server. Select Devices from the Profile Manager sidebar. 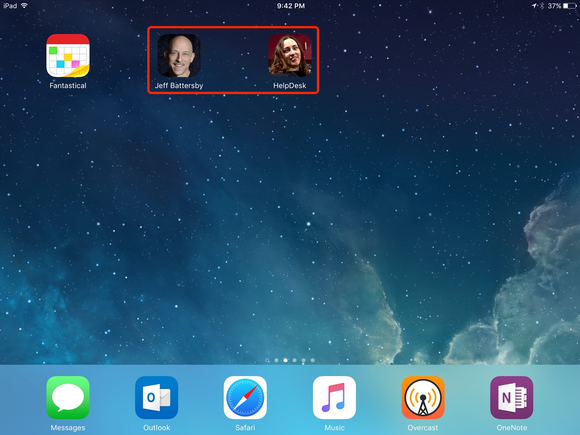 Select the iOS device you enrolled in the previous episode from the list of enrolled devices. Scroll down to the iOS section of the Payloads sidebar, select the Mail payload, and click Configure. Enter the appropriate setting information for your email server. Make sure you select both the Incoming Mail and Outgoing Mail tab when setting your account up. 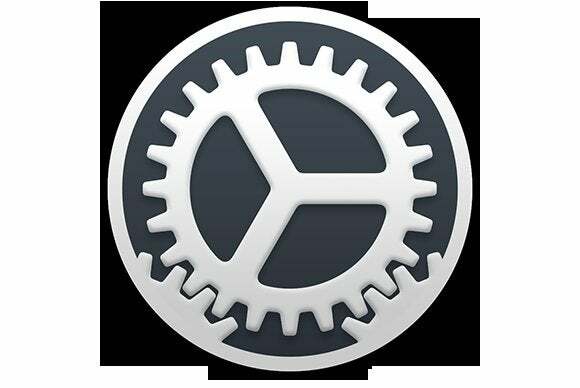 Open the Settings app on your enrolled iOS device. Locate and tap the Mail, Contact, Calendars setting and make sure that the account information you entered in the Mail payload isn’t already configured on your iOS device (delete the account if it already exists). Click OK and then click Save in Profile Manager. Within a matter of seconds your mail settings should be pushed to your iOS device. Check the Mail app to see if you have access to your mail service. Web Clips are useful for putting links to specific websites on user’s home screens. What you may not know is that Web Clips can also be used to automatically dial a phone number on iPhones and to make FaceTime audio and video calls on all iOS devices. You do this by entering a properly formatted URL in the URL field. We’ll create a Web Clip for a FaceTime call and a website. Log in to Profile Manager and locate your enrolled iOS device in the device list. 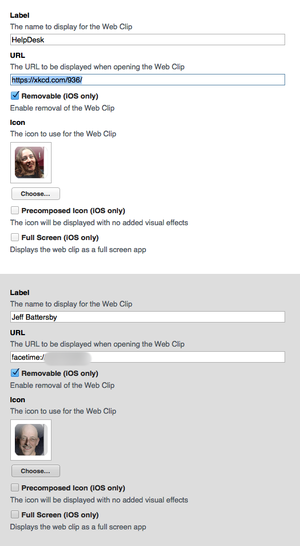 Locate the Web Clips payload and click Configure. Type facetime://yourappleid in the URL field. If you like, choose an image for the Icon field. 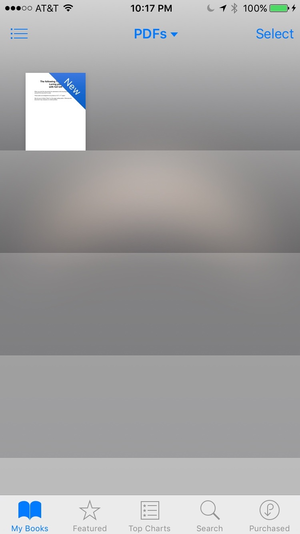 It’s best to choose a 600 x 600-pixel PNG file. Click the + button at the upper-right of the URL payload window. For these new payload settings enter HelpDesk in the Label field. Enter the URL for your help desk or some other Web site in the URL field. Locate the newly installed Web Clips and tap each one. Your Help Desk clip should take you to the Web page you entered and your FaceTime clip should make a FaceTime call to all the devices using the AppleID you entered in the Web Clips URL field. It’s possible to add iBooks to your iBooks Library if you’re using Apple’s Volume Purchase Program (VPP), which is available for businesses and education, but that’s not what we’ll be doing here. Instead, we’ll add a PDF document to the iBooks Library, which is a convenient way to deliver enterprise documents to all your users. 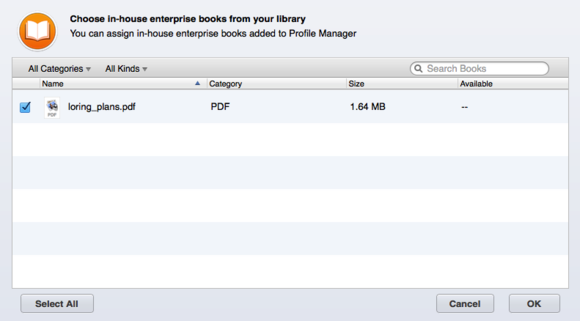 Select Books in the Profile Manager sidebar. 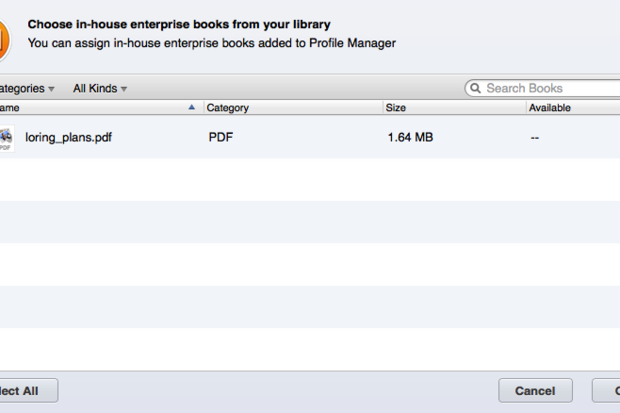 In Profile Manager’s Books window, click the button that says Add Enterprise Book. In the window that appears, navigate to and select a PDF file from your file system. Click the Choose button. This will upload the file to Profile Manager. Select your enrolled device then select the Books tab. 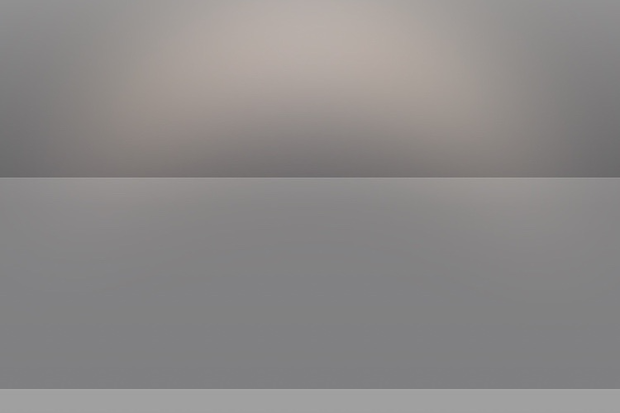 Click the + button at the bottom of the Books window. In the window that appears, put a check next to the PDF you just uploaded and click OK.
Open the iBooks app on your managed iOS device. Depending on the size of the file you added, it make take a few minutes to push the PDF file to your device, but you should see your PDF file in your library in a matter of minutes. Next we will finish up with Profile Manager and talk about planning to roll out Profile Manager in your production environment.